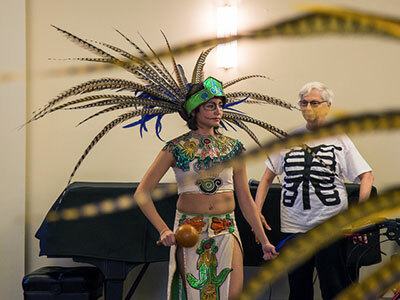 The SAIR Program is designed to give student artists time and space to become part of a community and engage in art-making. SAIRs are paired with a community-mentor, and together they identify a goal for the year, and then plan and facilitate a series of workshops toward that goal. SAIRs are compensated through either room and board within the community where they are placed (such as a senior living facilities) or they receive a stipend. 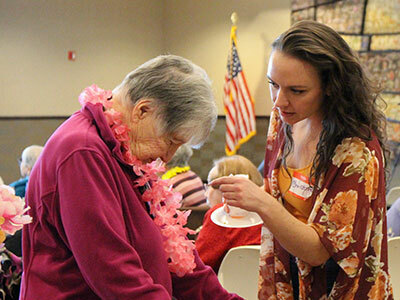 While the primary community partners are senior living centers, others include Walkers Point Medical Clinic, Interfaith Older Adult Programs, or the Village of Shorewood School District. What do SAIRs say about being in the program? Watch Student Artist in Residence, Erin Whitney, describe her experience at Chai Point Senior Living Center on Milwaukee’s lower eastside. We are currently recruiting SAIRs for the 2019-2020 school year. To learn more please review the SAIR Program Guidelines which outline the program requirements, calendar, and expectations. To apply, please fill out the SAIR Application, but note that there are a series of documents that must also be submitted, including a cover letter with specific information, a resume, and a letter of support. Details of what to submit are in the SAIR Program Guidelines and listed on the application. The supplemental materials should be submitted to Molly Hassler mhassler@uwm.edu immediately before filling out the application. Further questions can also be directed to Molly Hassler.